One of my favourite stories of last week had the rare meeting of comic books and the North. The CBC reported that a new Inuk super hero is being introduced by Marvel Comics and joining one of their super teams - The Champions. 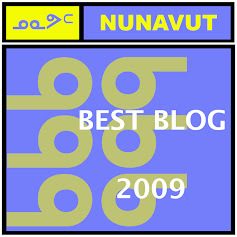 Nunavummiut got a bit of a hint this was coming a few weeks ago. Champions #19 came out and someone posted a page on Twitter showing the issue started with a couple of Inuit characters investigating a mysterious base just outside of Pangnirtung. It was a couple of pages of set up, then going back to the main team in New York who are getting themselves reestablished after a rough period. They decide to investigate a disturbance in Nunavut. Cue action sequence when they're attacked and a dramatic cliffhanger. It was an interesting discussion on local Twitter about it. Aside from the small oops of putting trees in Nunavut and Pangnirtung, it's a solid little issue. The issue also featured the debut of a new creative team with Toronto-based Jim Zub writing, South African Sean Izaakse on pencils and Marcio Manyz on colours. So they're trying to do something different to shake up the book. I've been collecting Champions in trade paperback since it launched with Mark Waid writing. Waid's one of the best, don't get me wrong, but the concept he was aiming for - a group of idealistic teen superheroes who want to change the world and help people rather than getting into a super villain of the day fight - just never completely materialised. I think I read an interview where he even admitted that. Zub might be the guy to do it. He's coming off a well reviewed run on Avengers that he co-wrote with Waid and Al Ewing. I've enjoyed his Image series Wayward, which features teenagers challenging old mythological powers. So he's a good fit. Izaakse's art is new to me, but I like his style. Both were on Twitter talking about the book when the Nunavut conversation was going on. I was pretty excited and others enjoyed the idea as well. However, there was concern about appropriation of Inuit culture in the comic and how accurate it was going to be. For example, there was sadness that the character of Amka Aliyak wasn't wearing a nice traditional parka or some kamiks. Or that maybe it would have been nicer if Marvel had hired Inuit to write or draw the comic. Zub also alluded, cryptically, that he consulted with someone from Nunavut. Plenty of locals offered to provide help (guilty as charged) if they needed it. Nunavut doesn't make it into mainstream comics every day. We'd like for it to be accurate. They were both pretty gracious about the Northern geeks offering to help. 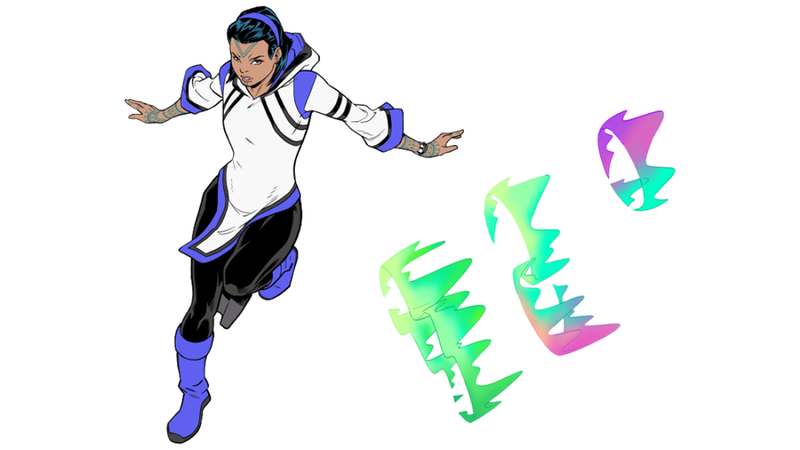 The CBC story broke that open, with Nyla Innuksuk being consulted on the character's origins, powers and design. And it wasn't just a consultation....it was a paid consultation. I think everybody was very happy about that. The creators seems very determined to get this right and aware of the sensitivities involved. Good for them. A lot of how this is going to play out remains to be seen. Amka has only been in a few pages. The publicity push right now has to do with boosting orders for #21, where she makes her costumed debut, as the cut off for ordering is coming up shortly. Plus, well, Champions could use a sales boost. Last I checked it's on the mid to lower end of sales for books Marvel publishes. Or at least the best guess. Marvel and DC are zealous about guarding their sales figures. Despite being a Nunavut-based character there are limited options for people reading her adventures. 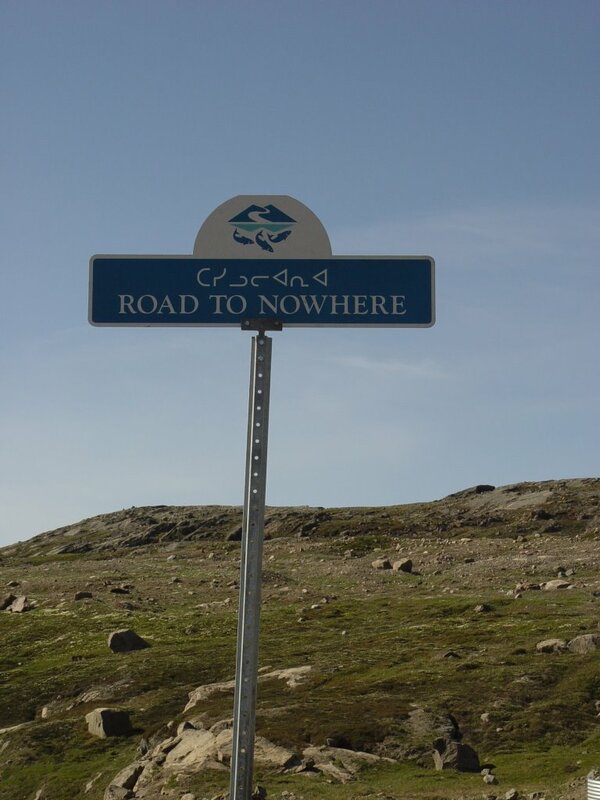 To my knowledge nowhere in Nunavut sells comics anymore (Arctic Ventures used to and stopped. Stuff 2 Do, which sold toys and comics closed last year). You can read it digitally through Amazon, but there can be challenges with that as well in Nunavut (Crappy internet. Not everyone has a credit card). The trade paperback collecting the stories won't be out until November. I confess if the Nunavut Public Library system doesn't buy it, I might buy a bunch and donate them. And there's a lot to like about her design. I love the amauti design of her costume. And the tattoos, particularly the facial ones, are a big bonus. Not 100% wild about her name; something in Inuktitut would have been nice, but that might have been a bit much for Marvel to swallow. Her powers are also a bit derivative of another Marvel Canadian hero - Snowbird. We'll see how that works. Besides, as much as I love Snowbird, man is she an awkward character in a modern context. An Inuit demi-goddess with the power to change into any Northern animal who is....white. And blonde. Also, new characters are hard to launch. Almost exactly four years ago DC made a very big deal about a Cree character from Northern Ontario named Equinox in a Justice League series. Her creators were Jeff Lemire and Mike McKone, two very prominent creators. She appeared in a handful of issues and then vanished. To my knowledge she's not currently being used in any series. Snowguard may well be different. I hope she is. There needs to be more indigenous characters and creators in comics. Representation truly matters in comics and pop culture. If you need proof of that, look at the reaction Black Panther had when it hit screens. And Champions is a good book for her to be in. The characters are young, but also ethnically diverse and feature more females than males.